There have been TV news stories and a lot of internet buzz, both positive and negative about the new “Created” or Lab Grown Diamonds. We hope to clear up most of the common misconceptions. The first question I hear is ” Are they real diamonds?”. 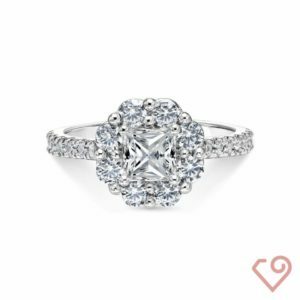 This question is a natural because we are used to diamonds having to be mined from deep in the earth, with tons of ground needing to be removed to find one gem quality 1 carat diamond. The Lab Grown diamonds are just that, a diamond that is created in the precise conditions to grow a diamond. We have gotten to the point where technology has enabled us to create the extreme high pressure and high temperature conditions necessary to completely crystallize carbon into its diamond crystal form. A diamond is a large crystal of pure carbon atoms that are deposited layer by layer over time. In nature the only place that the necessary elements of carbon along with a very specific high temperature and pressure come together is in the “pipe” of a volcano that is slowly cooling off. If the temperature and pressure are a little too high or low, the carbon remains in its black non-crystal form. There is a very narrow” window” of conditions required for nature and man to be able to make a diamond. Back to the question, “Are these diamond real?”. the answer is a definite Yes! At the same time, all of the most highly respected, well established diamond grading labs such as GIA, IGI and GCAL all acknowledge that lab grown diamond have the same chemical composition, crystal structure, optical and physical properties of a diamond mined from the earth. And they are being graded along with their mined counterparts at gem labs all over the world. So, the answer is an unequivocal yes, they are real diamonds. Just as Flowers From a Greenhouse Are Real; Diamonds From a Lab Are Also Authentic. A wonderful analogy is the flowers you purchase at your local florist. No one ever asks “Are these flowers real?” because it’s obvious they are. But if you look behind the scenes, the flowers are all grown in greenhouses, with special lighting, in a controlled environment with special fertilizer and soil to give you a bigger more beautiful flower. This is the same with the lab grown diamond. We now have the technology to create the perfect environment above ground to grow a real diamond. And it starts with a very special perfect “seed” diamond crystal from which we can grow, layer by layer of pure carbon, a beautiful gem quality diamond. From the growing process the diamond crystals are given to the same highly skilled and talented diamond cutters to crate a beautifully crafted masterpiece, your finished diamond. The FTC went further to revise it’s previous version of the definition of diamond which used to state, “A diamond is a natural mineral consisting essentially of pure carbon crystallized in the isometric system” by removing the word “natural” in the most recent definition because ” technological advances have made it possible to create diamond in a laboratory”. Another interesting fact is, diamonds have different classifications based on the purity of the underlying diamond crystal. The most rare, because it is the most devoid of impurities is a type IIA. Less than 2% of all mined diamonds are classified as a type IIA. Most diamonds when being formed in the earth incorporate other elements like boron and nitrogen into their crystal structure, making a less pure diamond. 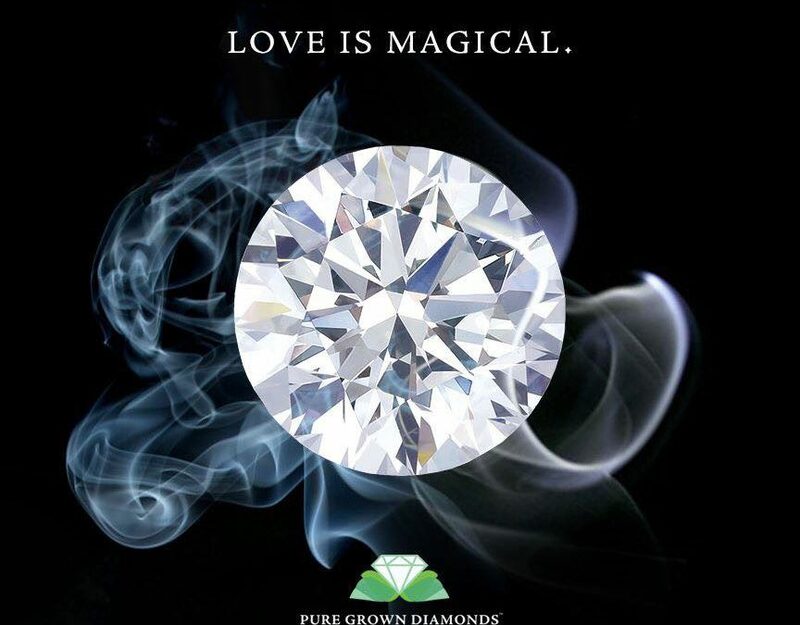 We have been able to eliminate these impurities in the laboratory environment and our lab grown diamonds are all of the type IIA, which gives you a more pure, beautiful diamond. What are the other concerns with these new diamonds? Some are concerned with the environmental impact of mining diamonds. The largest holes on the earth are all mines, Diamond mines by nature are huge, thousands of feet deep and open pit mining being the norm. This exacts a huge cost on the environment. Mines are also not a renewable resource, so when the mines are done, there will be no more of these gems coming from the earth. Mining by its’ nature is a very dangerous industry, we have all heard about mining disasters, and the injuries that accompany them. Diamond laboratories are by nature a very safe, self contained enterprise. Tons of earth doesn’t have to be moved, thousands of gallons of water are not required, and no disruption to the environment occurs. We do not try to encourage anyone to purchase either type of diamond. We just want everyone to be well educated so they can make an informed decision that fits their own personal needs and concerns. So, please feel free to contact us if you would like more information on the subject, or if you would like to come in to compare the diamonds side by side so you can make up your own mind.